Ian Kinsler hit a leadoff home run for Texas and the team never looked back as the Rangers rolled on to its third-straight win over the Twins at Rangers Ballpark Saturday, 9-3. Justin Morneau was the only bright spot for the Twins, hitting 4-4 with a home run. The loss in the Twins' fifth in a row, and 14th in the last 16 games. Texas pitcher Matt Harrison had a no-hitter going for 6 2/3 innings and Adrian Beltre hit for the cycle as the Rangers rolled over Twins 8-0 at Rangers Ballpark Friday night. Trevor Plouffe spoiled Harrison's no-hit bid with a solid single with two outs in the seventh. A season-high five-game losing streak is not the Texas Rangers' only concern. Back spasms could keep slugger Josh Hamilton out of the lineup Saturday night when the AL West-leading Rangers try to get back on track against the visiting Minnesota Twins. Pitcher Sam Deduno will make his first career start and Minnesota debut. Former Twins closer Joe Nathan held off his old club Saturday night with two scoreless innings and earned his first victory of the season as Texas Rangers beat the Twins 4-3 in 10 innings at Rangers Ballpark. 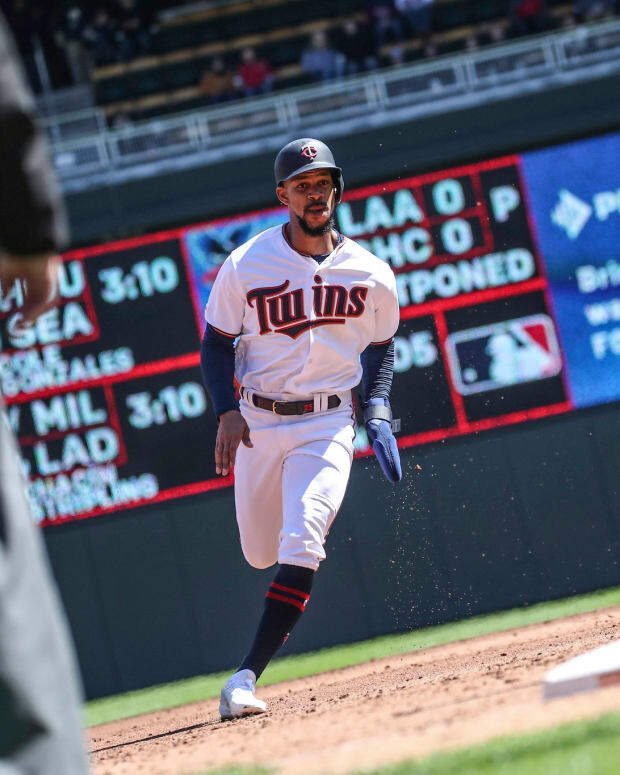 Samuel Deduno made his first major league start, giving up three earned runs on six hits and three walks in 5 1/3 innings for the Twins. Minnesota continues a four-game set in Texas against the AL West-leading Rangers. The Twins are coming off a heated loss Thursday and an eight-game losing streak. Samuel Deduno will be on the mound for the Twins tonight. The rookie will try to show some improvement as he's scheduled to get the ball against the Rangers for the first time since making his first major league start July 7 in Arlington. The first pitch is at 7:05.